What Works Best for Employee Wellness Programs? Do employees need carrots or sticks to encourage them to adopt healthy lifestyle habits? 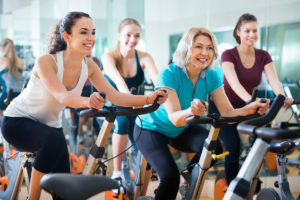 That’s the quandary many employers tackle when deciding whether to offer incentives and rewards to encourage employees to participate in wellness programs. Most people like the thought of working out and becoming healthier, but they struggle to make time for it. Or, they find that the desire to eat healthy food fades when faced with a choice between salad and pizza. Discounts on nutritious meals at the workplace cafeteria or restaurant serving healthy foods. Decreased employer contributions to health care premiums for consistent non-participation. Charge a fee to employees with a chronic health condition who decide not to pursue treatment or take prescribed medications. Host exclusive activities only for employees who make positive lifestyle changes. The New York Times reports that the Affordable Care Act allows employers to nudge employees toward healthy behaviors, but also requires participation to be voluntary. Employers can provide richer incentives for employees who engage in wellness programs and charge fees or higher premiums for employees who don’t. Many employers are focusing on employee well-being, which encompasses both engagement and wellness programs to retain and recruit great workers. Watch this video interview with Dr. Jim Harter of Gallup.